A farm boy from Pennsylvania, Sauder grew up as the middle child with four siblings. He started working with Habitat for Humanity early on, going to Zaire, now the Democratic Republic of the Congo, on his first trip for one of its early projects to provide housing in the 1970s. After completing a master's degree in urban planning from the University of Pennsylvania, he rejoined the Habitat for Humanity, this time heading to Latin America, where he helped develop projects in 13 countries. director of the Tijuana-San Diego Habitat project." 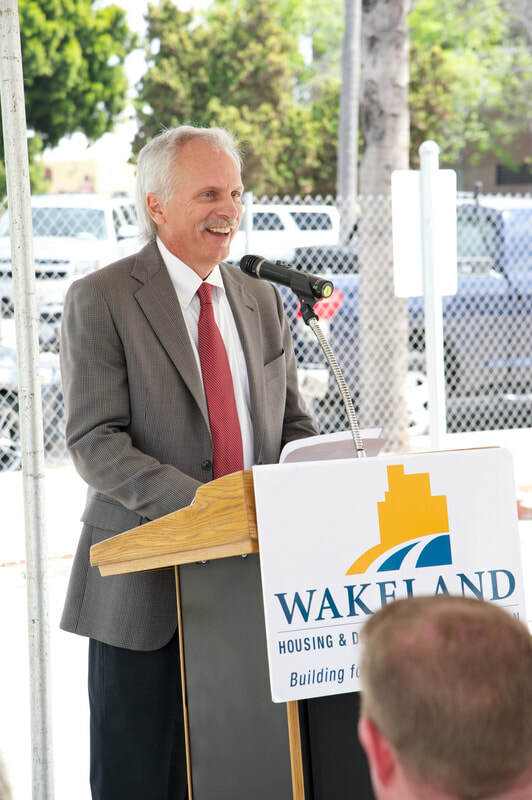 This background led him to realize there was a need for nonprofits focused on affordable housing, which prompted him to co-found Wakeland Housing & Development Corp. 18 years ago, of which he is now the president and CEO. The group has 6,500 units spread across 38 projects in California. "I do it because I believe in it and there's a tremendous need, people always need a safe place to live," he said. The firm recently completed Atmosphere, a 205-unit high rise in downtown San Diego that includes 51 units for formerly homeless people. Wakeland also provides wrap-around services to help them be successful, contracting with the county and other nonprofits to get them the help they need. The project serves as a model for what affordable housing can be, with a diverse mix of tenants, and a portion of it allotted for the homeless population. "A big debate in San Diego and elsewhere is about how to tackle homelessness," Sauder said. "Our organization develops homeless units within larger complexes. I think smaller projects can be 100 percent homeless, but larger projects need to be a mixture." Sauder counts building the organization into the entity it is today, and hiring smart people to achieve those goals, as his biggest achievement.